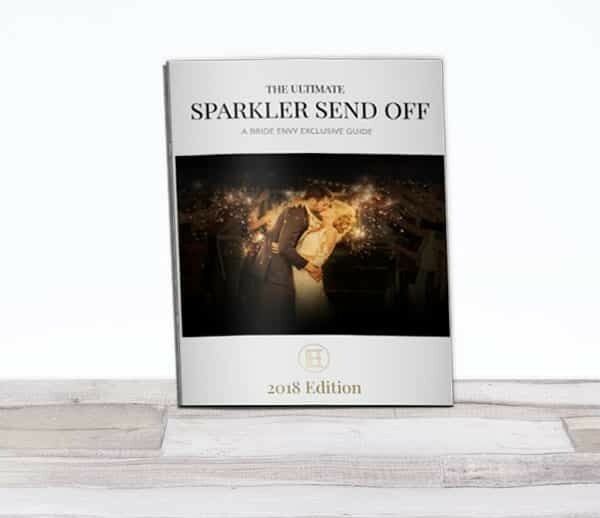 The Ultimate Sparkler Send Off Guide provides detailed instructions to ensure an unforgettable sparkler send off with gorgeous photos you’ll cherish forever. The Ultimate Sparkler Send Off Guide provides detailed instructions to ensure your send off is unforgettable. The Sparkler Send Off Blueprint … includes a checklist of all the crucial steps for preparing and executing a flawless sparkler send off. Get the right accessories, prepare your venue, educate your guests, and make it unforgettable. Creative Sparkler Photo Guide… discover the most creative and memorable sparkler photo opportunities that occur apart from the send off. How to Hire a Pro Send Off Photographer … six steps to find the best photographer for your wedding send off. Sparkler Photo Secrets… a professional guide to sparkler photography and long exposure sparkler writing. Inside SparklerFX … using Photoshop to add amazing sparkler effects to your favorite wedding photos. Make your send off unforgettable and capture gorgeous photos you’ll cherish forever.